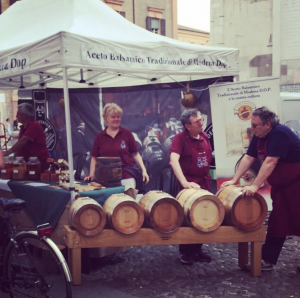 The best Balsamic Vinegar has been chosen at the 51° edition of the Palio of San Giovanni, which takes place every year in Spilamberto. Laura Montalegni from Vignola won the Palio with her original traditional balsamic vinegar with 322,375 points. The other 11 finalists were also awarded. Second place was Franco Mazzi from Modena, with 320,833 points, and third with Pavelloo Ivan Ruggeri with 318,583; follows Annamaria Berti Fogliani and Pierino Pagani, both from Sassuolo, with 318,292 and 316,833 respectively. The first runner-up received some prestigious prizes for her best balsamic vinegar: the official diploma of the Consorteria, one teaspoon of gold for the tasting and the” Spilamberto canopy “, which is delivered to all semifinalists: it is a bronze bas-relief that depicts The Spilamberto tower. After a week from the awards ceremony, however, comes the most important recognition: the Grand Master will go to the winner’s home to mark the barrels with the logo of Consorteria. This year was also a record for the numbers of the Palio: 1.344 participants, for a total of over 15 thousand whole tastes. From the beginning of May 182, Masters Tasters, with the help of the Tasters and the Students, went to work to evaluate all the samples of traditional Balsamic Vinegar of family production delivered to Consorteria. 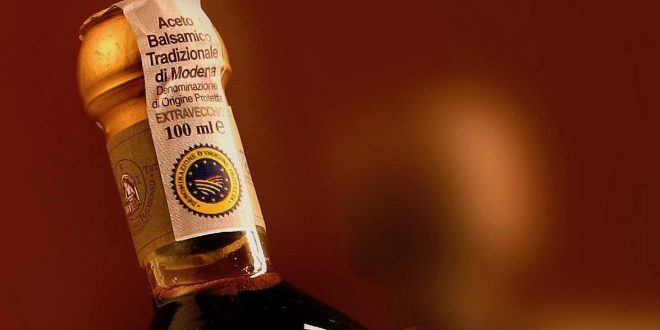 The Palio di San Giovanni is an opportunity for Consorteria to examine and monitor the production of Traditional Balsamic Vinegar from both the organoleptic point of view and the physical and chemical characteristics. This way it can convey to producers Appropriate guidelines for secular tradition to be respected. Previous Balsamic reduction , How to make a perfect one. Next Massimo Bottura The ambassador of the Balsamic Vinegar.